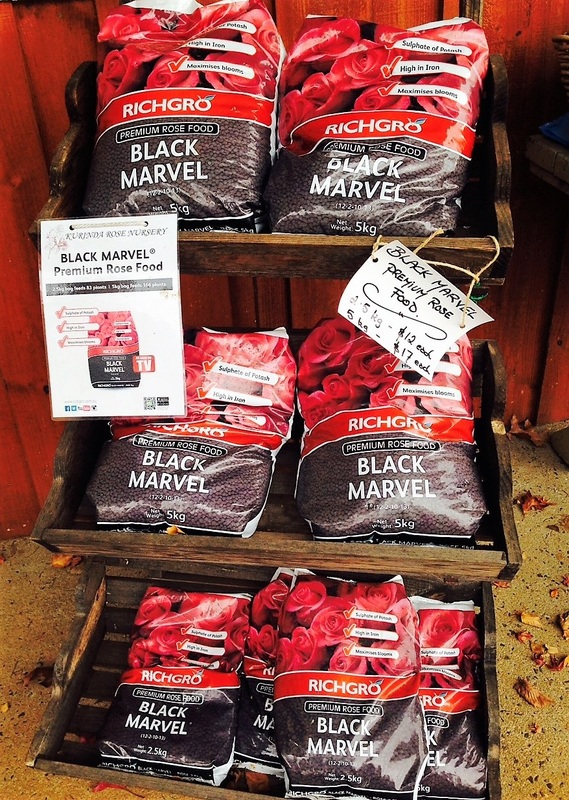 "We have over 150 varieties to choose from, so come in and browse through the colourful display. 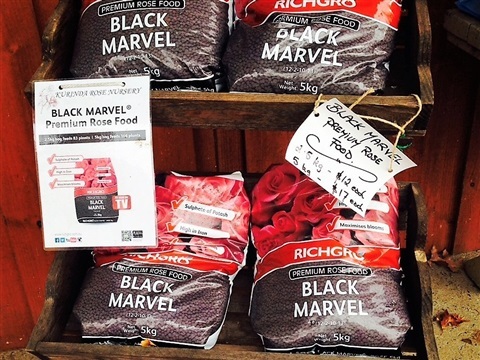 Here a just a few of our favourites." 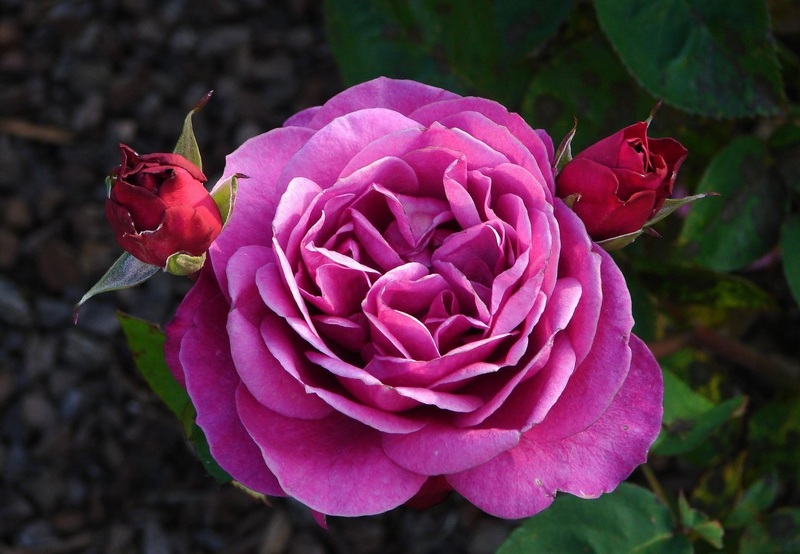 We have a good selection of Alister Clark roses in stock this year. 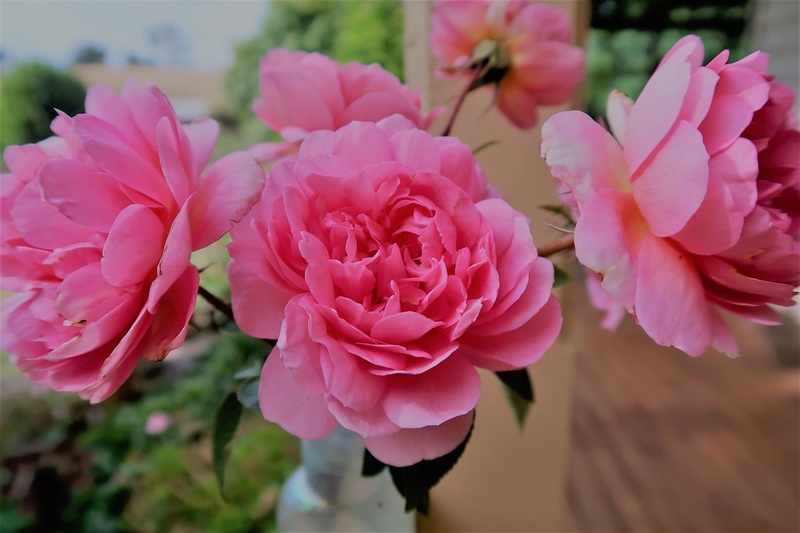 These hard to find varieties were bred by Alister Clark (1864 -1949) who lived near Bulla in Victoria and is recognised as Australia's most prolific and famous rose breeder. 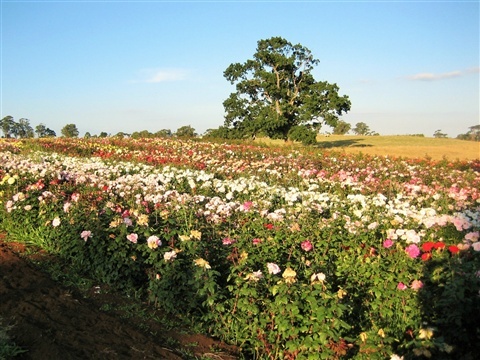 His roses vary from small bushes to very large climbers, and were bred to suit Australian conditions. 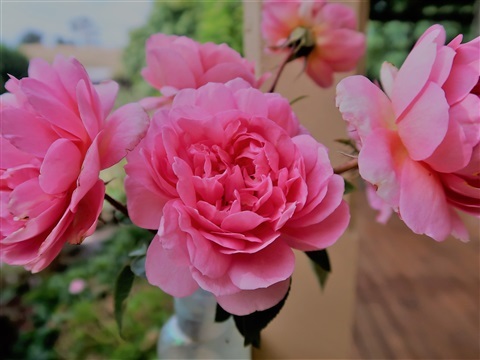 Some flower once in spring while others flower repeatedly. 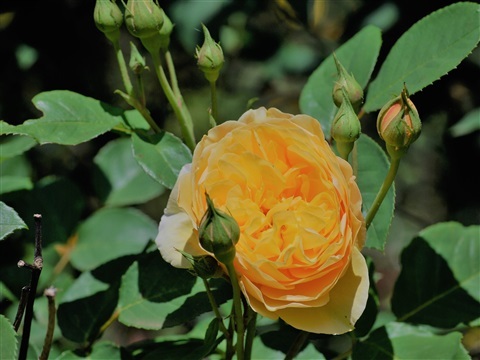 Old Port. 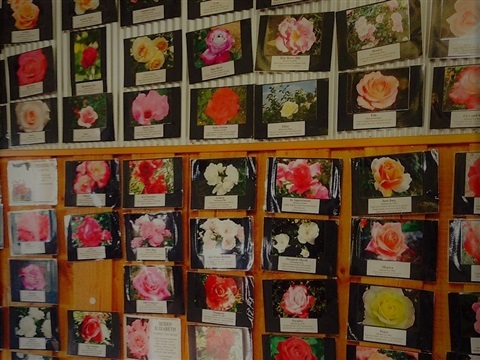 Note this unique Rose claimed the title of "Champion Rose" at The Leongatha Show 2018. 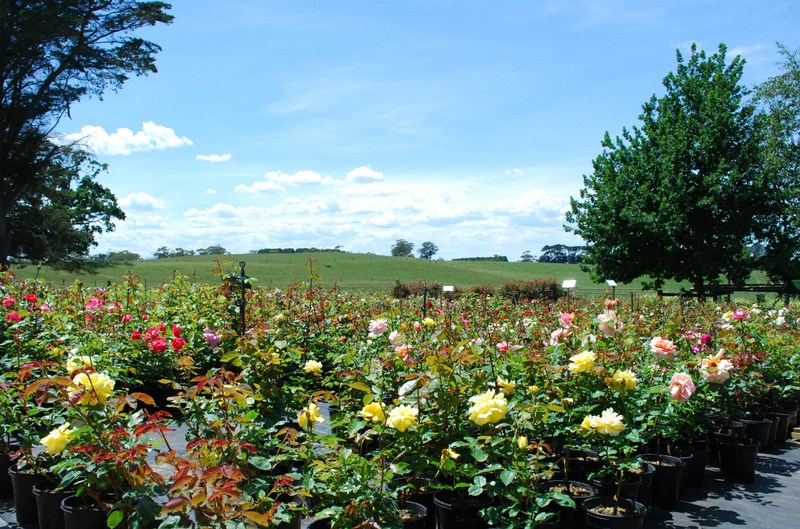 Visit our nursery and treat yourself to a purchase of a quality pruning tool. 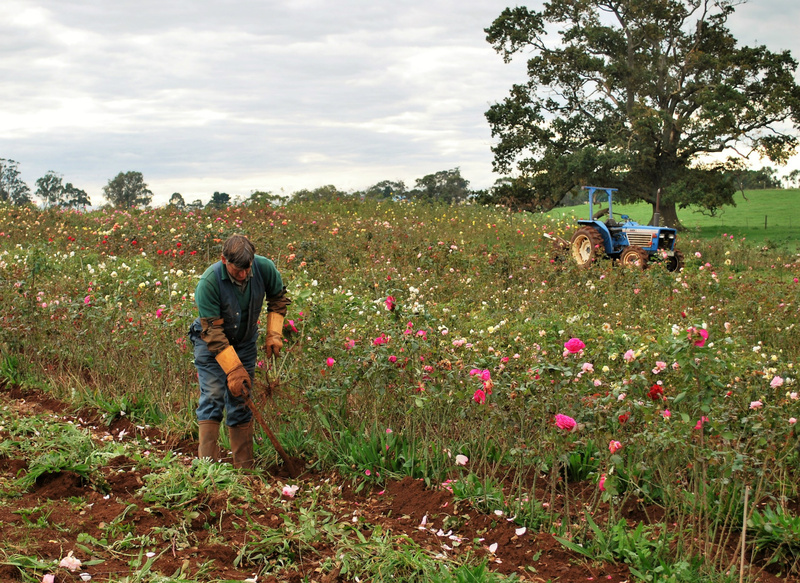 We stock top quality secateurs and long-sleeved goatskin gloves in various sizes. 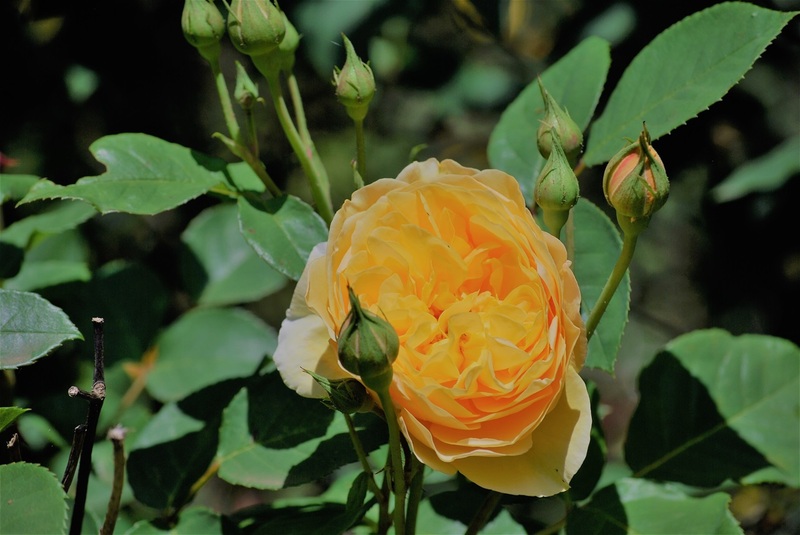 These are perfect to protect your arms from scratches and they stay soft and supple. 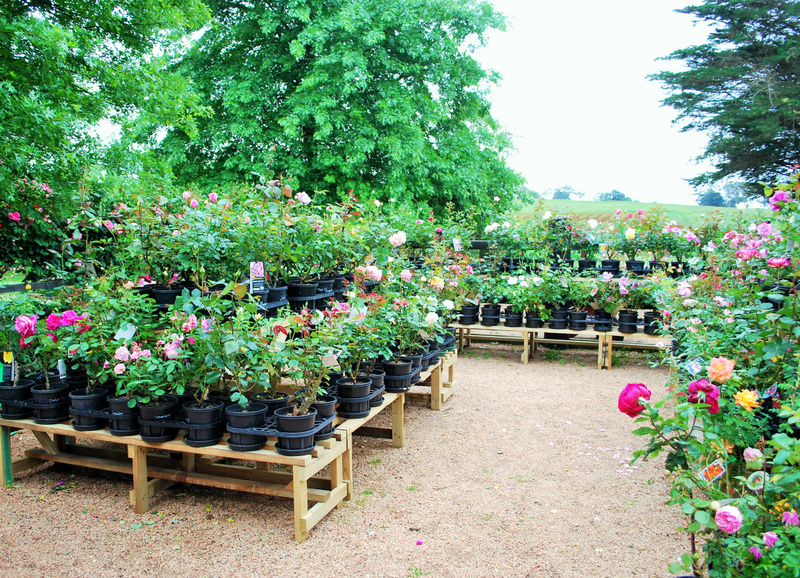 Every garden needs a bench, and we have 2 sizes in stock now, 90cm long and 150cm long backrest benches.
. Now in stock 90cm long and 150cm long backrest benches. 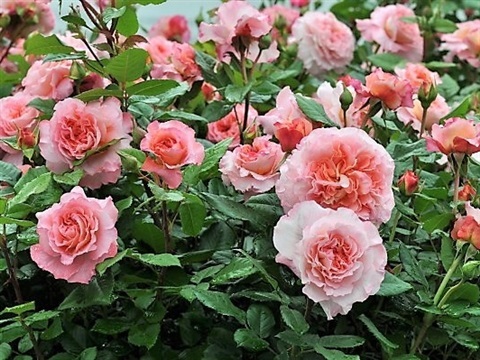 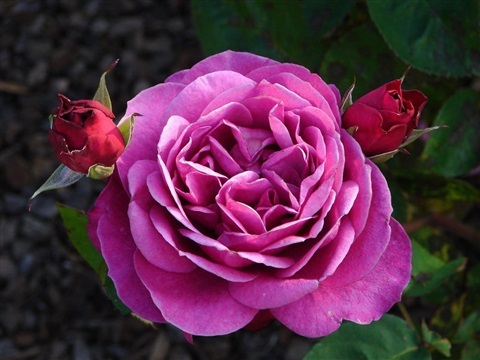 Growers of quality 2-year rose plants, we are specialists of roses of all types. 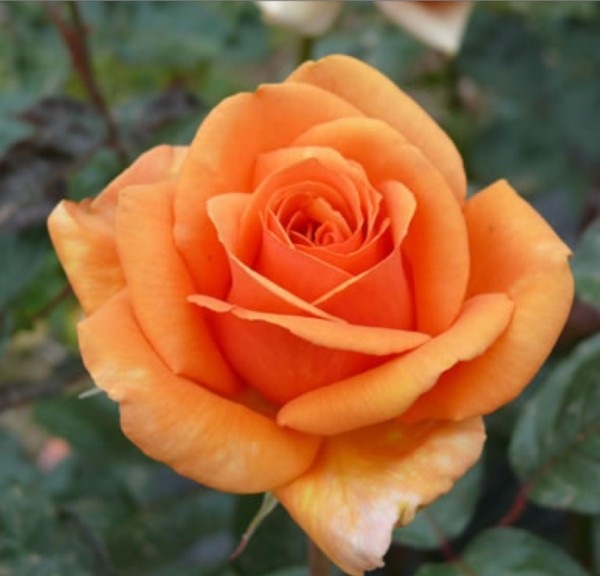 Stan has been growing roses commercially for over 40 years. 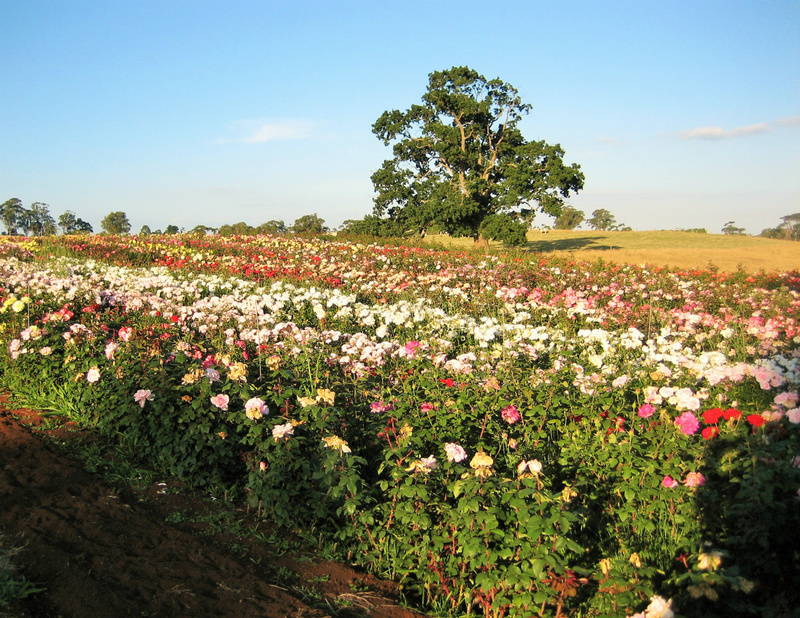 All our plants are grown on the farm. 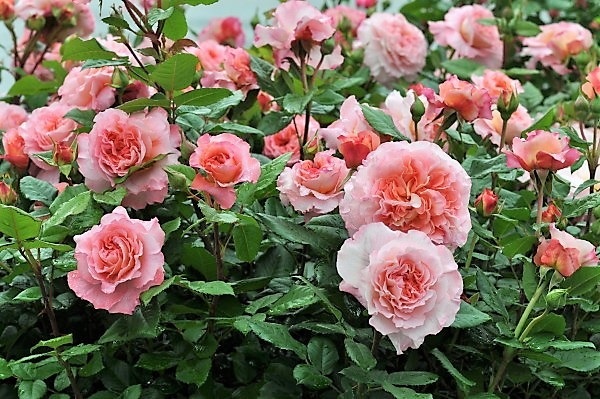 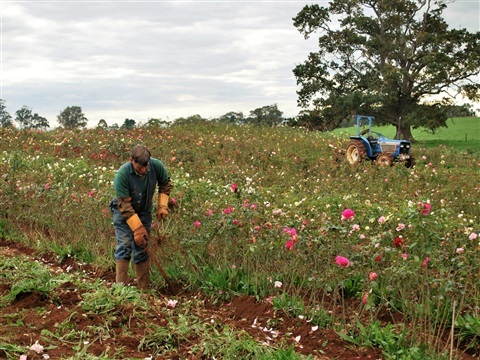 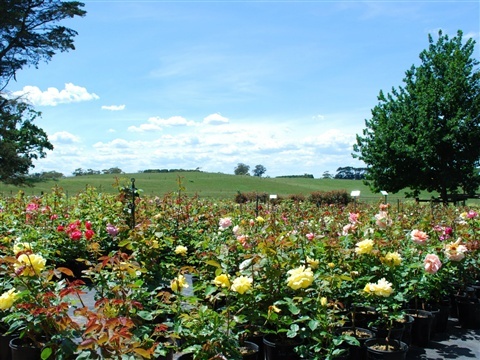 Roses are budded onto sucker-free rootstock in the field, and grown for two years before being lifted in winter and potted for spring/summer sales. 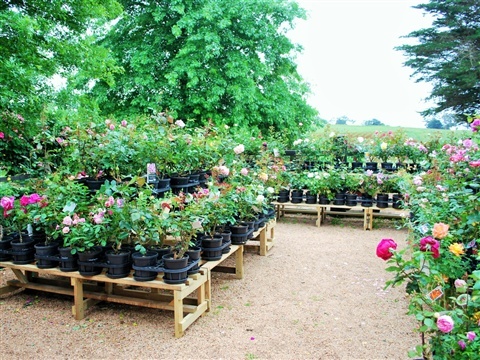 We have over 150 varieties of roses in pots ready for sale every Spring. 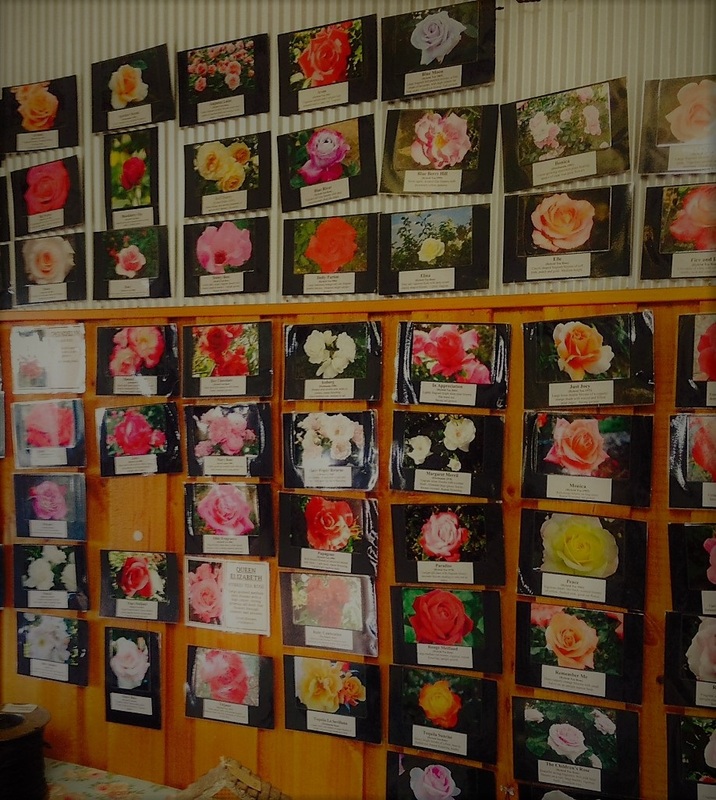 To help customers choose from the great choice of varieties, we have photos and descriptions of most of the varieties on display in our nursery. 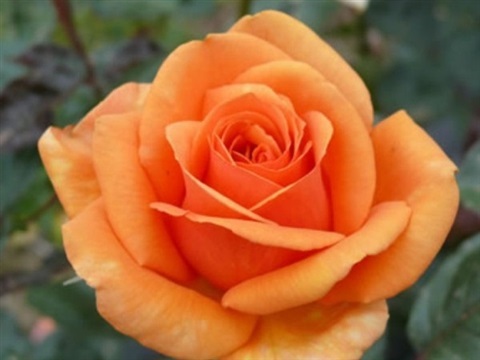 Stan is keen to help anyone with questions about rose care advice or help in choosing a variety for their garden. 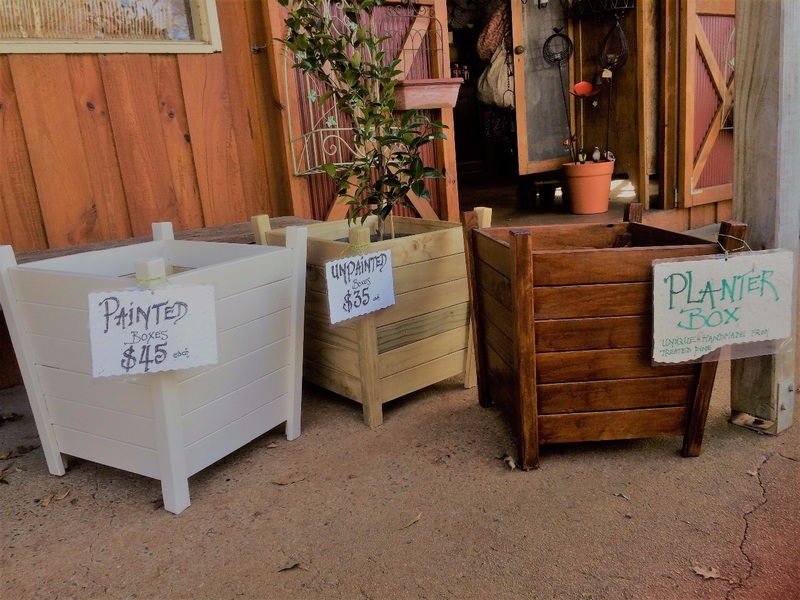 When visiting our nursery you may like to browse in our garden gift shop. 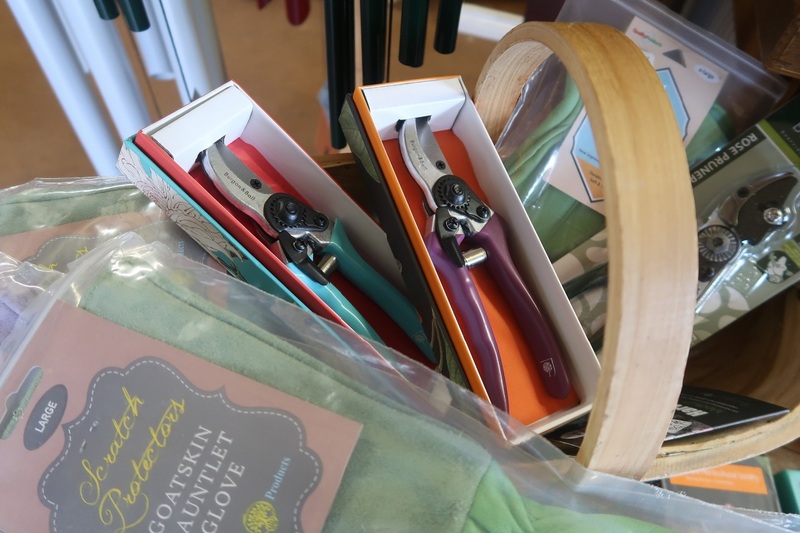 We stock unusual and hard to find garden gifts and ornaments. 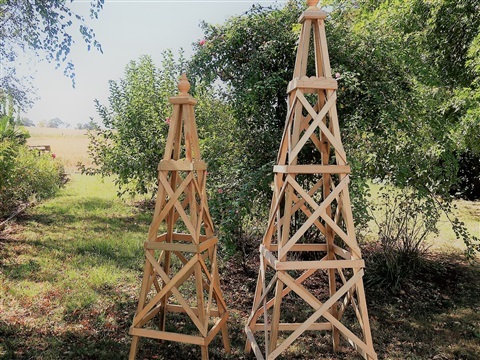 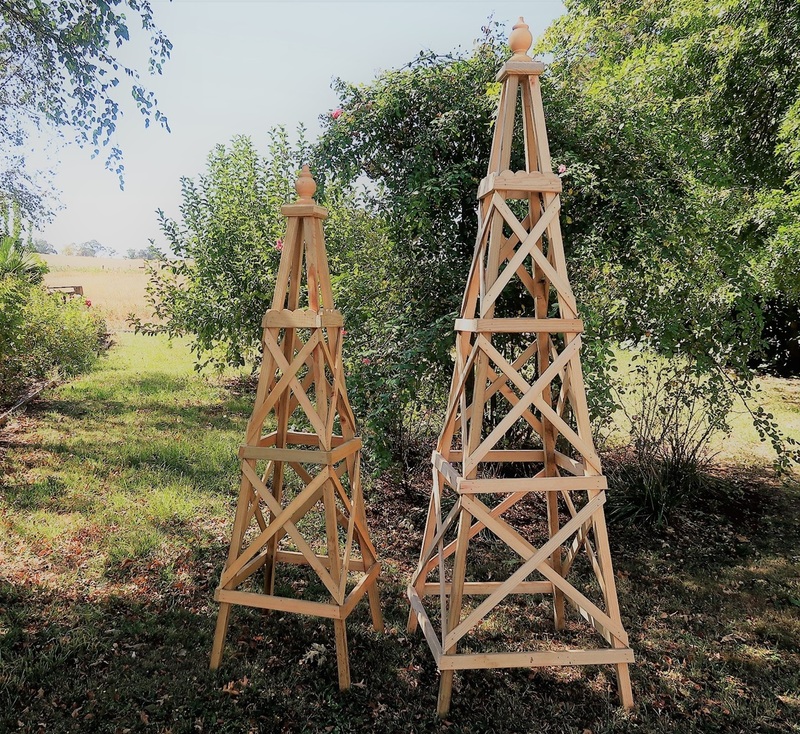 We also have rose obelisks in two sizes , wooden structural supports for climbing roses that add a feature to your garden. 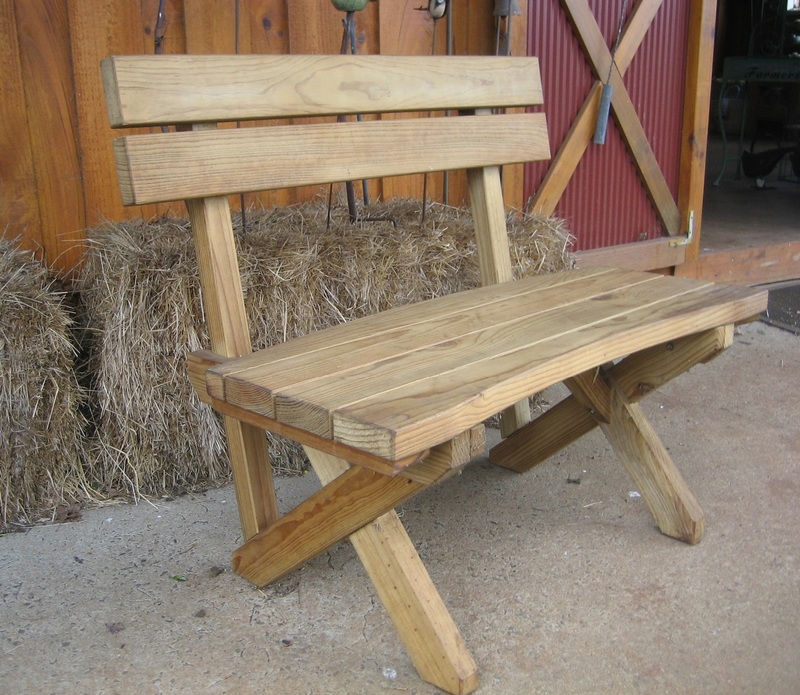 Our wooden garden benches are also very popular, at very reasonable prices. 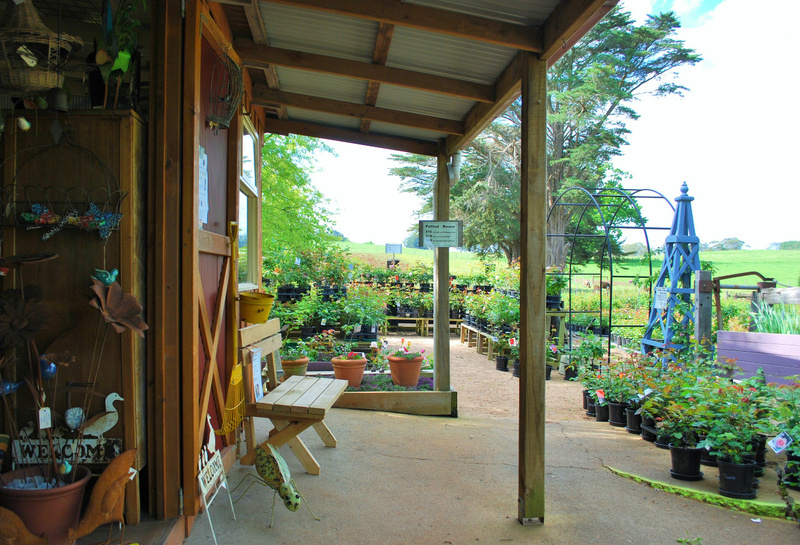 Please phone to confirm open hours, as days open may vary.